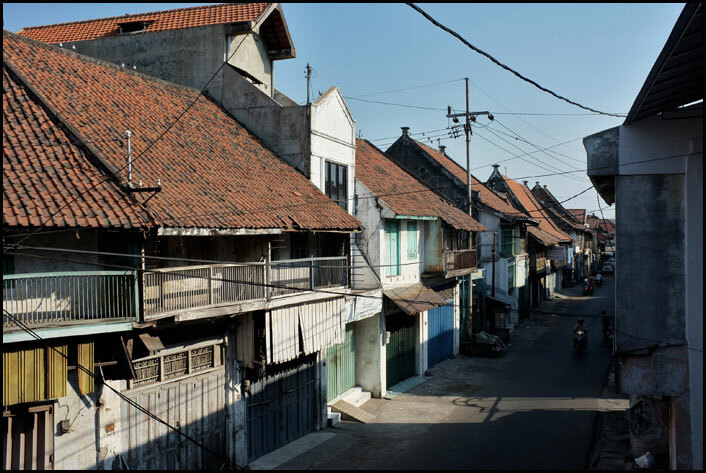 When I planned a trip to Surabaya, the capital of East Java Province, two months ago, I put the old Arabic quarter of Ampel on the top of the list. I thought it would be a great idea to see by myself a community of Arabic people who traced their roots back to Hadhramaut, Yemen. Most of these people had dwelled in that quarter for centuries. 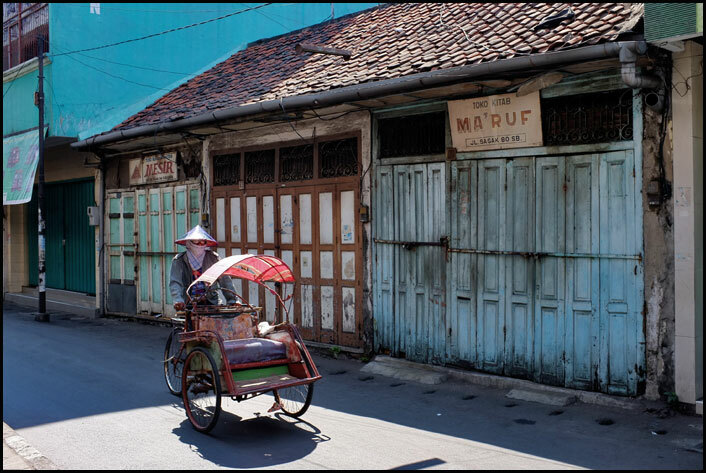 They had interracially married with native Javanese people and been very well assimilated with the local cultures. I set the day to explore the quarter right on the Muslim festive day of Eid al Adha, hoping to experience such a festive moment. It turned out I was wrong. I guessed I picked up the wrong day to explore the old Arabic quarter of Ampel. All shops and restaurants were closed. People stayed inside their houses. I could hardly find any activities that make me feel like being in an Arabic quarter. 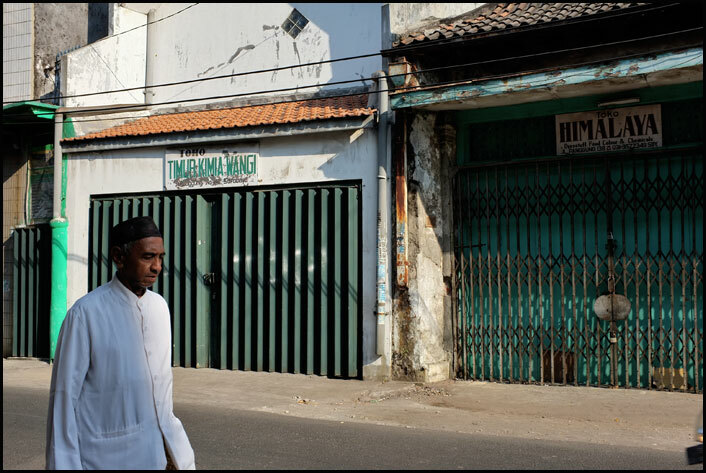 While wandering in a long topped corridor of a traditional market, close to the grand mosque of Sunan Ampel, I found a group of men being preoccupied with slaughtering goats which was the prime ritual of Eid al Adha. They were so welcome they allowed me to take pictures of the ritual. It was a little bit funny however to see men with Middle East physical appearances speak local Javanese dialect so fluently you couldn’t tell whether they were natives or Arabic descendants. Looking at the numbers and size of goats sacrificed in that ritual, I could see that the people living in that quarter had reached a high standard of prosperity. Coming out from the corridor, I found another side of Ampel. 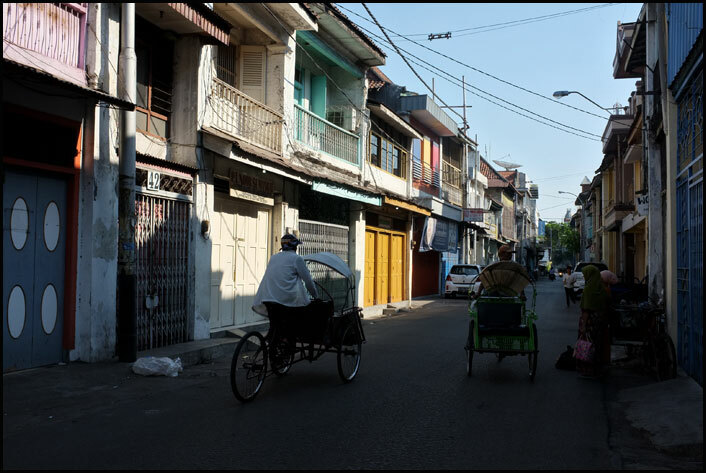 It was almost like an old Chinatown with shophouses and narrow streets. 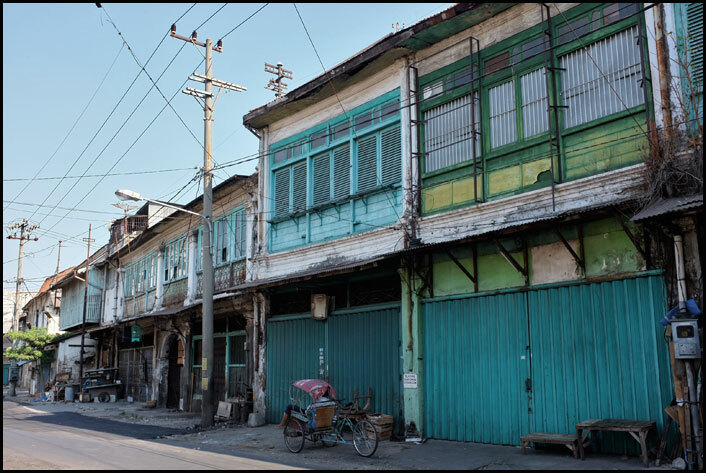 I thought it would be great if I walked along the streets and took a closer look at the old buildings. 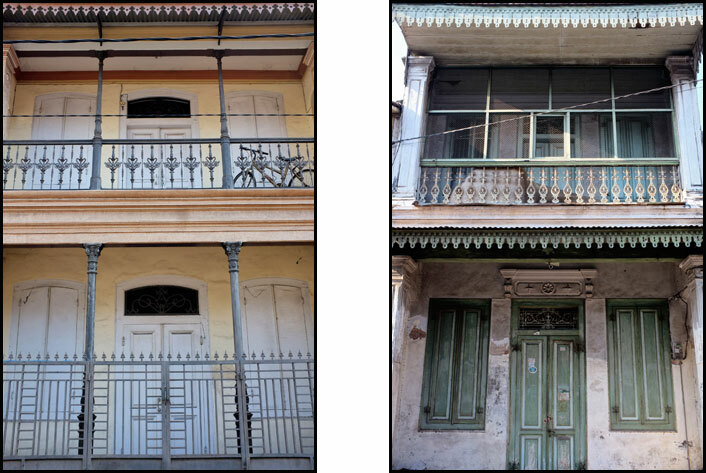 Rustic wrought iron at windows, rotten door wood frames, and exfoliated wall paints had simply dominated the old buildings. I was lucky to stumble upon a local old man while I was taking picture of an old abandoned building. He advised that I go to the east direction so I could capture more old historical buildings. 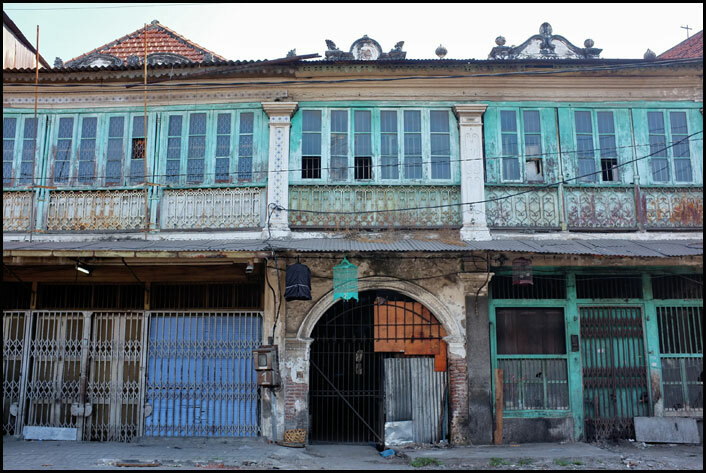 I took his advice and soon let my self lost between old shophouses dated back to the early twentieth century. It was the day of Eid al Adha, a festive day for Muslim. All shops were closed during that day. I thought I picked the wrong day for hunting in that Arab’s quarter, turned out I was fortunate as on the normal days, the traffic in that quarter was like a disaster. Many trucks were parked on the street, and people were busy with loading activities. You wouldn’t be able to enjoy those magnificent buildings on the normal days. I couldn’t help but notice that the Arabs in the past had built many mushallas (it’s a kind of mosque, only smaller) in that quarter, each was named after their clan. 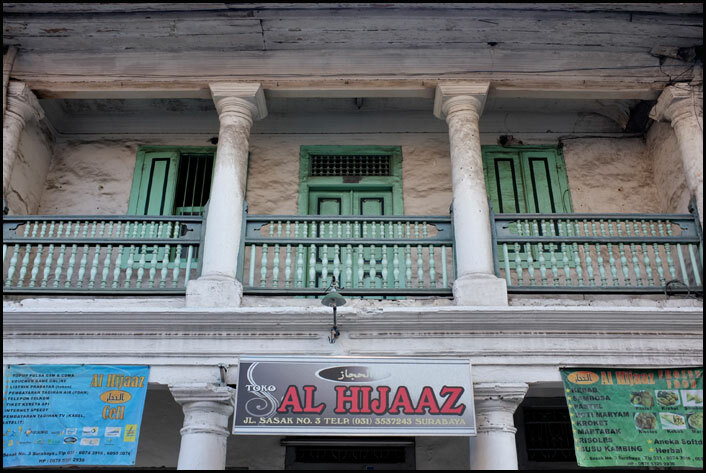 The most famous mushalla was the one built by the family of Bafadhol. I could say this was a legendary mushalla and should become one significant landmark of Ampel. It’s a legend because that mushalla appeared in an old photograph taken during the birthday celebration of Queen Wilhemina of the Netherlands somewhere in 1920s. 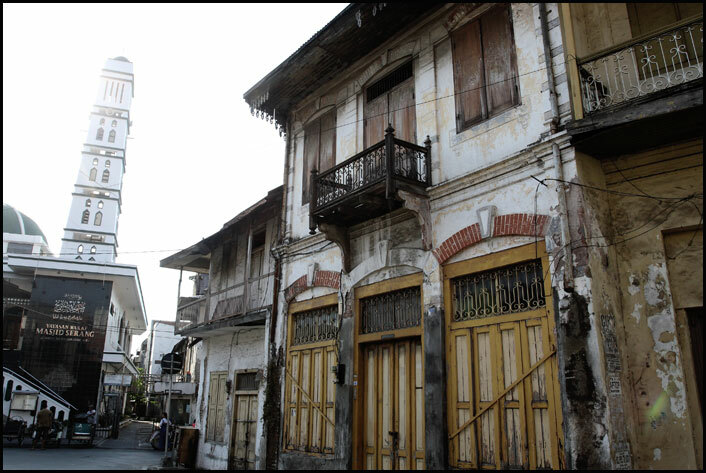 The photograph had simply pictured how Ampel looked like in the colonial time. 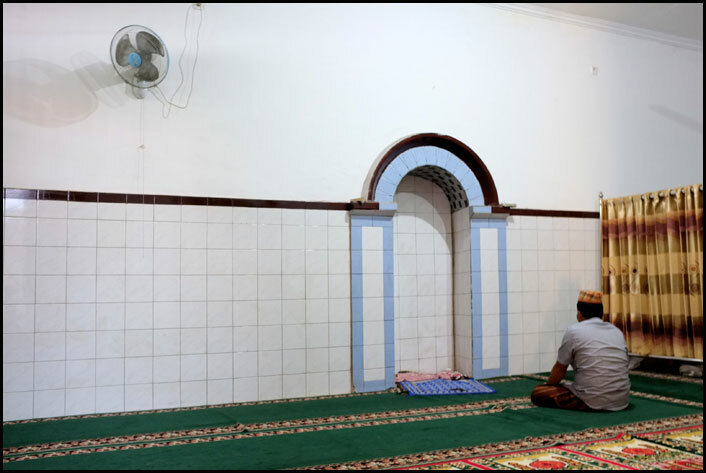 I stepped slowly to the prayer room which looked like a dark chamber to me. The wood floor had obviously been leaked at some places due to its old age. The creaky sounds came out as I walked on it. Apparently, there was no significant effort to conserve this place. 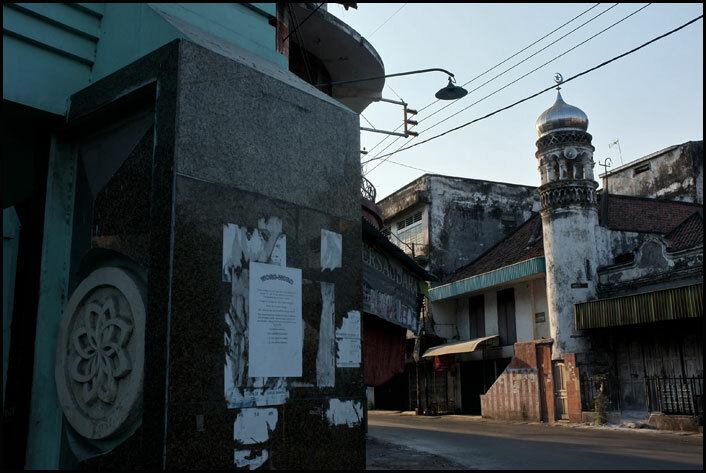 It took me almost nine hours to wander in the old Arabic quarter of Ampel. Some places had been on the list before I came there, and some were fortunately found sort of by incident. It was not so bad after all to explore the quarter on Eid al Adha.